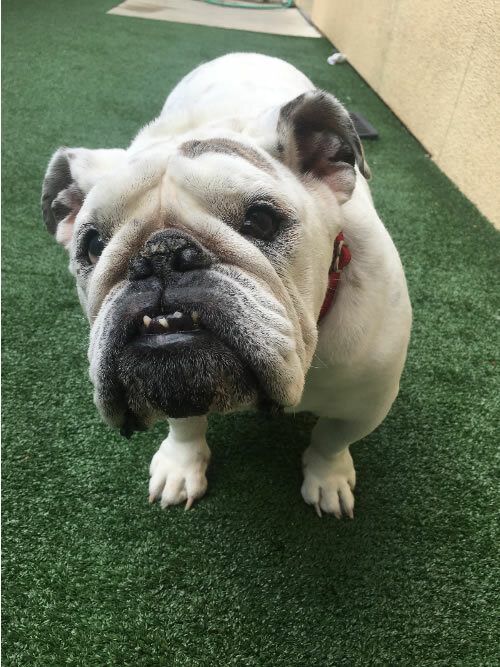 PLEASANTON, Calif. (KGO) -- Valley Humane Society is asking for the community's help to get Beatrice the bulldog the medical treatment that she needs. They say, "The past is written all over her body...and the story it tells is one of neglect." 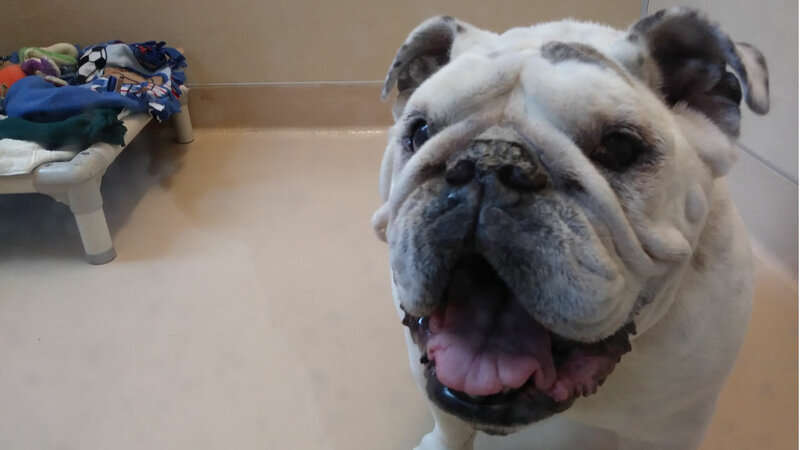 Beatrice has a number of ailments that animal rescue officials say makes it clear that the 2-year-old English bulldog mix has suffered a lack of care for some time. These ailments include everything from raging ear infections to toenails so long they wrap around her feet. In addition, she has terrible gingivitis, difficulty breathing, and a cherry eye which has turned black. She has ingrown eyelashes and has never been spayed, they say. Worst of all are her ears. Veterinarians say what likely began as a simple ear infection turned into a massive inflammation, which will require the removal of both ear canals and eardrums, leaving Beatrice completely deaf. Beatrice is still a relatively young dog and can enjoy a good life with the proper care, which is why Valley Humane Society is asking for help raising $10,000, which will cover the urgent issues. "Once an animal is in our care, Valley Humane Society is committed to providing what is needed. But beyond that, Beatrice deserves a shot at a long and happy life," said Executive Director Melanie Sadek. If enough money is raised, Valley Humane Society plans to perform the non-critical work as well. Funds not needed for Beatrice will be used for other rescued animals. 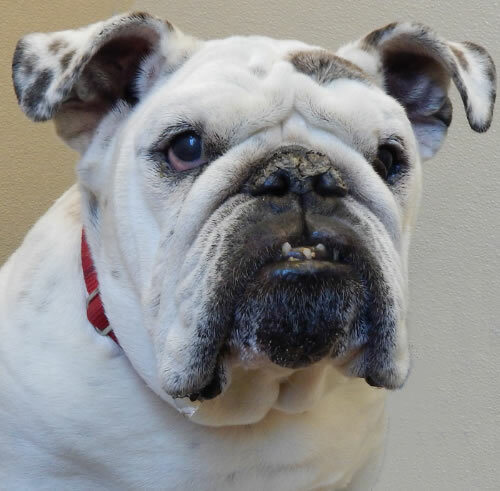 Beatrice will be available for adoption in two to three months, when her medical treatments are complete. To help Beatrice, visit valleyhumane.org or call (925)426-8656. Donations may also be sent by mail, care of: Beatrice/Medical Fund, Valley Humane Society, 3670 Nevada Street, Pleasanton, CA 94566.